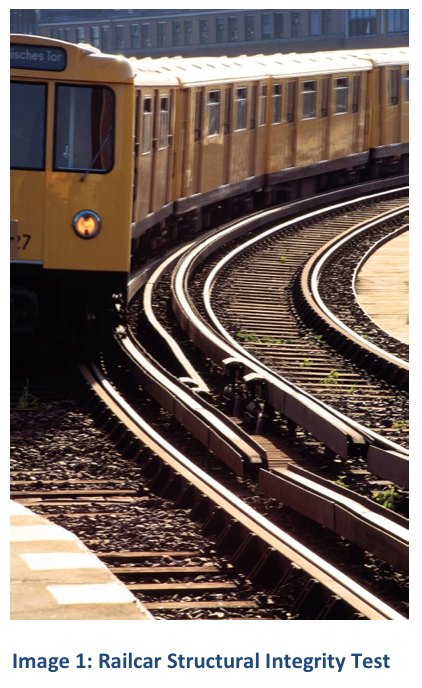 Concerned with the structural integrity of hundreds of aging passenger railcars, one of the nation’s busiest rapid‐transit systems turned to ITM for answers. Obvious signs of fatigue — cracks at the corners of the railcar doors — had begun to surface on the Washington Metropolitan Area Transit Authorities’ 1000 Series railcars, a model that dates back to the early‐70’s and represented roughly a quarter of WMATA’s fleet. The challenges ahead for the public transit system were to repair the cracked areas then validate the integrity of the repairs. Seeking an engineering firm that could quickly validate the integrity of the repaired railcars, government consulting firm Booz Allen Hamilton (BAH) brought in engineers from Integrated Test & Measurement (ITM), a National Instruments Gold Alliance Partner, from Milford, Ohio. ITM delivered. 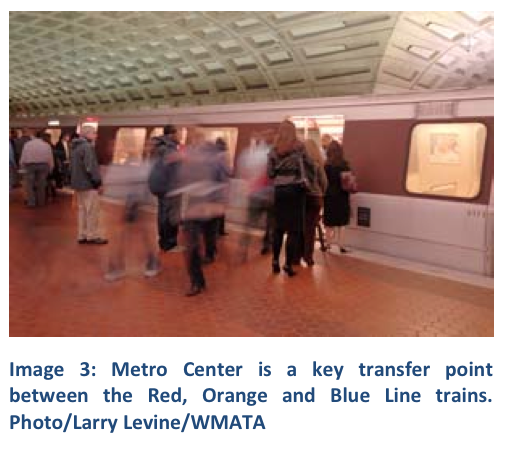 According to their findings, the welded areas of the railcars passed loading requirements and structural‐integrity tests, and WMATA could then deploy the vehicles back into their busy revenue fleet. 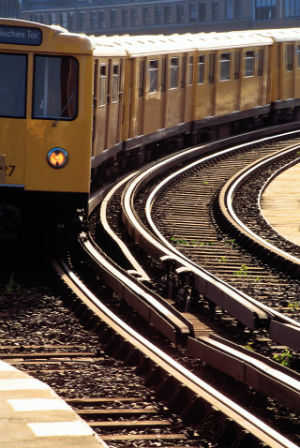 To come to that conclusion, ITM sent a pair of engineers to WMATA’s Washington, DC, facility where they instrumented one of the aging railcars with strain gauges and accelerometers, put it through a series of load tests and collected data for analysis. Lorek turned to ITM because of their competitive bid and what he termed their “cradle‐ to‐grave” approach. Since its founding in 2001, ITM has prided itself on the firm’s boots‐on‐the‐ground delivery of engineering solutions. The backbone for ITM’s analysis in such cases is the firm’s iTestSystem software (iTS), which they developed to capture and analyze data in real time so engineers can identify and solve design and operational problems. While in DC, Welker and his colleague performed not only a static (in‐the‐garage) test on the railcar but also a dynamic (down‐the‐tracks) test. The goal of both methods was to measure the loads that were being experienced during a normal service route through the city. During the first test, they affixed 23 strain gauges on a stationary railcar in WMATA’s garage, where the unit was tested both empty and loaded with enough 5‐gallon buckets of sand to equal 26,000 pounds. In search of stress points, the engineers had the corners of the railcar jacked up and down to simulate a twisting motion. Not surprisingly, the test revealed the highest strain levels at the lower corners of the doors, the same area known to experience cracking in the 1000 Series units. For the dynamic test, the field engineers added accelerometers to the railcar, and then gathered data while riding along for hours during a “live” run down two of WMATA’s most popular revenue lines. While the test may have appeared a bit odd to onlookers, the engineers were able to deliver sound results as their findings again affirmed that the highest points of stress occurred at the bottom corners of the doors. 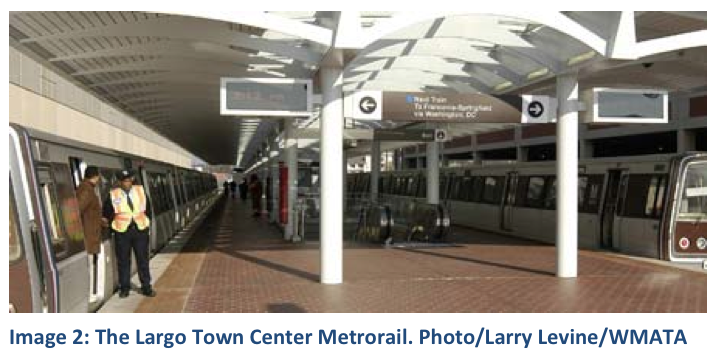 With all the data in hand, ITM delivered a detailed report of findings to BAH, which allowed WMATA to make a more informed decision on when it would need to retire its oldest railcars.